West Midland Safari Park is one of Worcestershire’s biggest and most unusual employers. From catering and retail, engineering and maintenance, animal care and training, to marketing or teaching, we have career opportunities for all! We offer a range of seasonal, fixed term and permanent jobs as well as apprenticeships, internships, work experience placements and volunteering roles. Explore the opportunities below to find the perfect one for you! 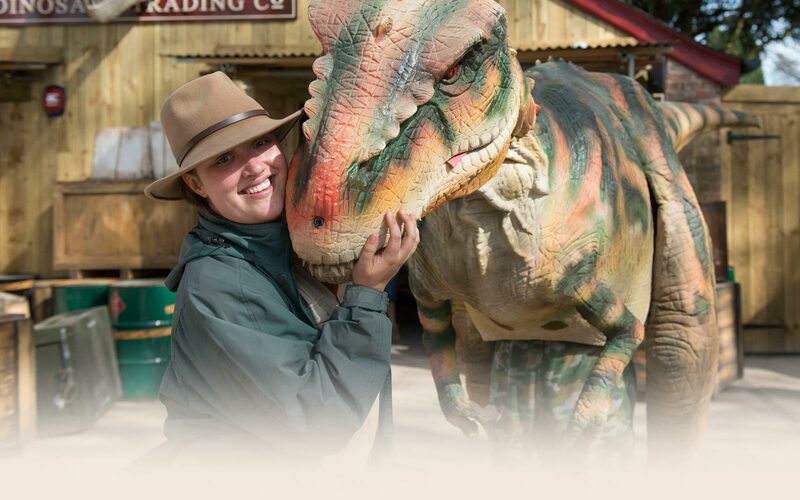 Each year West Midland Safari Park has a wide range of exciting Seasonal positions across a variety of departments. If you would like the opportunity to work in a dynamic and rewarding environment why not attend one of our Recruitment Days. Seasonal jobs are a great way to start your career. We have a variety of seasonal vacancies available every year, including Assistant and Supervisory roles, many which include flexible working hours. If you are looking for part time or holiday work, or to gain more experience in a particular area, seasonal work may be ideal for you! Salary based permanent positions are highly sought after within the Leisure Industry. We look forward to welcoming the more experienced candidates through this recruitment process. Check out the individual vacancies for detailed information. These salary based jobs are a great way to get more experience and are often based on 50 or 100 weeks dependent on the role. Although these positions become available less frequently than seasonal vacancies, there are a variety of fixed term jobs available in most areas of the Park. An Apprenticeship at West Midland Safari park gives you the opportunity to work for one of the biggest Employers in Worcestershire, whilst gaining a real qualificiation alongside valuable work experience and industry skills. There are a number of Apprenticeships carried out at the Safari Park, with a particular focus in our Services Departments, including Engineering and Electrical Apprenticeships. Anyone over 16 years old, living in England, and not in full-time education can apply to be an Apprentice. An Internship at West Midland Safari Park gives you the opportunity to work for one of the biggest Employers in Worcestershire, whilst gaining valuable work experience and industry skills. Internships are available in a range of roles within the Safari Park. These roles are unpaid and are temporary with a fixed length of placement. Anyone who is required to do a placement as part of their further or higher education course can apply for an Internship, although age restrictions may apply to certain roles. Due to the high volume of applications, applicants studying subjects most closely related to the Internship will be prioritised. West Midland Safari Park provides work experience placements throughout a variety of Departments including Wildlife, Retail, Food and Beverages and Learning to name a few! These placements are designed to give you an idea of what it is like to work in that particular role. They do not include formal training and there will be limited areas which you will be permitted to help out in, but they are a fantastic way to have a glimpse into a particular job. Due to the amount of applications for Work Experience we may sometimes be fully booked up to 12 months in advance for some roles, therefore we suggest you apply as soon as possible once you know the dates you are looking for. Pleae Note: We have experienced a very high volume of work experience requests and all of our placements, for all roles, are now full. If you are interested in completing work experience with us, details are of all available roles will be advertised here. Alternatively, you can register your interest below. If you would like to take up a new interest, meet new people, make our guests smile and support wildlife conservation education, then come and be part of our growing volunteer team at West Midland Safari Park. Volunteers do not take the place of paid staff, but they make an important contribution to helping enhance the guest experience and support the staffing team. Volunteers act as an ambassador to the Park and can help the guests gain a greater understanding of the issues surrounding wildlife conservation and what the Park and the guests can do to help animals in the wild, in addition to providing fantastic customer service. Volunteer roles are unpaid and do not include any expenses, so individuals will be required to cover their own travel costs. Please take this into account before registering interest.